30 Rock | The Ack Attack! 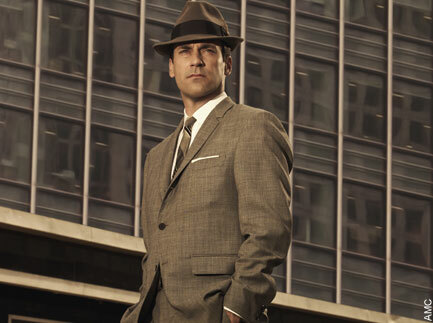 Jon Hamm is dreamy, whether he admits it or not. Well, on 30 Rock it was played for laughs, and comically exaggerated. Iâ€™m certainly not the best-looking person on the planet, and I would never ever say that. And I donâ€™t think anybody really would, with a straight face, especially people who know me. But, you know, itâ€™s funny. At the end of the day, the 30 Rock writers have to get out of that scenario theyâ€™ve built for themselves. If Liz Lemon and Dr. Drew fall madly in love, then thereâ€™s no more show. So you have to kind of create something thatâ€™s going to break this thing up. And my characterâ€™s not a bad guy; heâ€™s not anything but a good guy. So the funniest way to get out of that was the way they did, which was to make this person almost functionally retarded, and yet completely lauded and celebrated, with all of his shortcomings overlooked because heâ€™s handsome. I think that says a lot about our culture, where weâ€™re willing to excuse people if they are celebrities, or theyâ€™re pretty, or whatever. This sort of shallow way that sometimes our culture tends to look past things. Mad Men starts this Sunday!!! FINALLY!!! You are currently browsing entries tagged with 30 rock at The Ack Attack!.